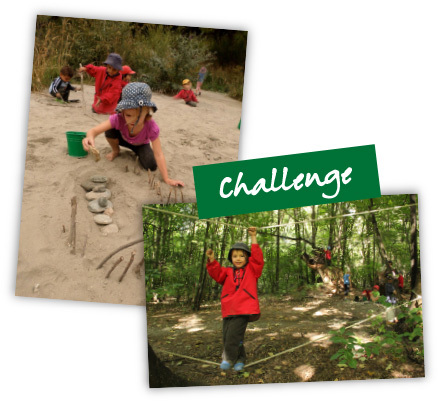 Our programmes are inspired by aspects of the Reggio Emilia approach and Nature Based learning with a strong focus on movement and physical challenges. Teachers encourage thinking and learning, incorporating literacy and numeracy experiences throughout the programmes. Positive relationships and respect for what each child contributes to our learning community are paramount. 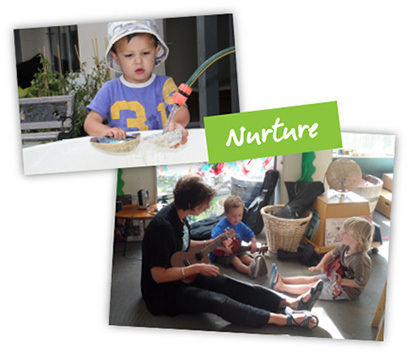 This programme is for the younger children aged 12 months – 3 years. 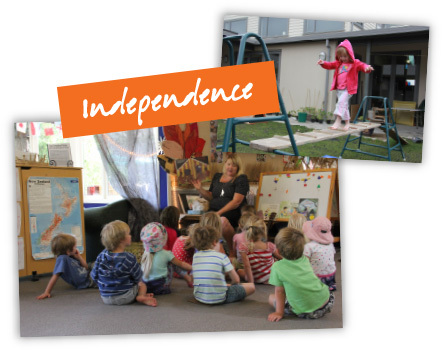 For the older children at Cotter Ave and all children at Durham St, 3-4 years. This unique programme is for our oldest 15 children, spending one day a week exploring and spending unhurried time in nature.